Frankly, my dears, I am not made for winter. Maybe it’s the low blood pressure, but I am always cold. My nose, my toes, my fingers, and my rear, sweet cheeks, are always a bit chilly. This is why in the winter, even in Northern California, my heart sings arias for tropical climates. Hawaii is hands down, my favorite place to visit when I crave ocean breezes, fresh flavors that make my mouth water, and a laid back, relaxed attitude towards life. 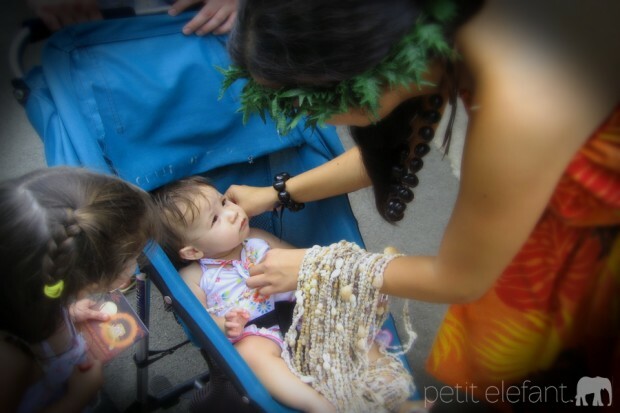 Hawaii is a perfect place to visit, and fantastic with kids, if you’re looking for easy. There aren’t any passports, language barriers, or currency exchanges to worry about. I’ve found that if you go off-season, you can usually find fabulous flight deals from Hawaiian Airlines. 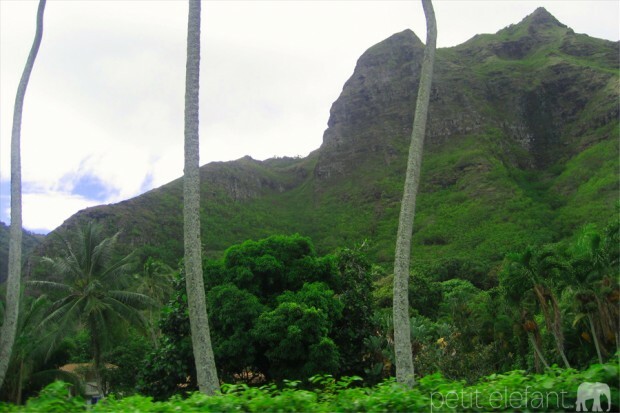 Oahu is great for families, and is a great pick for the first island to visit. It’s the third largest Hawaiian island, and is the most populated of all the eight islands. About two-thirds of Hawaiians live on Oahu. With so much to do, or not to do, you won’t get bored on Oahu. Oahu is also ideal for discovering the flavor of what Hawaii is like, and from there pick the other islands you’d like to visit next. Most tourists stay in Waikiki on the south of the island, near Honolulu, where the airport is, and close to Pearl Harbor. If you choose to stay in Waikiki, expect it to be much more crowded, with a lot of activity. You can also break up your trip. Spend a couple days down in Waikiki, and then book it up to the North Shore for some true local flavor. There are a myriad of places to stay in Oahu. For us, traveling with a family, we’ve always found it works best for us to have a condo, or a place with a kitchen. Having a kitchen saves you from eating out for every meal. It also helps having a space to savor delicious leftovers from the many mouth-watering restaurants you do visit. We stayed at the Marriott’s Ko Olina when the girls were 1 and 3 years old in 2007. We did it because we were offered a great deal if we listened to their timeshare presentation. It’s a gorgeous resort, with delicious food, and we love the man-made bay, and beach areas, just perfect for little ones. We stayed in a one bedroom, with a kitchen and a sofa bed. It was ideal for our family of four. Since that time Marriott’s Ko Olina has gained a neighbor of the Disney variety. I’ve heard great things about Disney’s Aulani. Feel free to take me with you. My husband and I love finding a condo to rent in Kuilima, right near the famed Turtle Bay Resort on the North Shore. We like being far from the crowded beaches of Waikiki. We relish the slower pace and the closeness to the restaurants at Turtle Bay, shrimp trucks, Haliewa, Laie, and the PCC. We’ve always had great luck finding two bedroom condos on Vacation Rentals By Owner (VRBO) for $200 per night or less. Depending on what season you go, you can find really great deals. Truth is, the off-season in Hawaii is likely 100 times better than wherever you’re from. Truth. The off-season is usually late spring and fall. We’ve gone both times and the weather is always gorgeous. You’ll find cheaper airline tickets, lodging and less crowds. Roy’s takes the flavors of the Pacific Rim and fires them up a notch for palate pleasing plates. I’ve tried the Roy’s in San Francisco, because I missed the islands, and honestly, everything tastes better in the islands. I don’t know if it’s the fresh ocean air, or the relaxed atmosphere, I swear, it all just is better. Eat everything on the island. Everything. Haliewa Joe’s is always one of our must stops when we visit the North Shore. The atmosphere is a totally relaxed beach, surfer vibe, and the seafood is freshly caught, and perfectly prepared. I also adore their pulled pork. On the island, pulled pork is pure magic. Those pigs they cook are definitely ono. Macky’s Shrimp Truck is a must. You must try a traditional Hawaiian shrimp plate lunch. The macaroni salad alone will blow your mind. You’ll crave it like an addict, it’s so good. You really can’t find macaroni salad on the mainland, like you can in Hawaii. I defy you. the shrimp flavors are all rocking. If you find sweet Kahuku corn at Macky’s or at a fruit stand on the North Shore, buy that stuff up, steam or grill it and then, heavens, you’re welcome. That corn doesn’t need any seasoning. None. It’s making me drool just thinking about it. Dude. We need to talk shaved ice. You have to have shaved ice. You have to. You will fall in love with it. I personally recommend red bean and lychee. Sounds weirdto anyone that isn’t colorful, so try it, you’ll be colorful too. You’ll thank me, or continue your merry way. Tiger’s blood is also a favorite. Go tropical, go fruity, go local and enjoy it. Matsumoto’s is a great place to start. It’s in Haeiwa, and it’s been serving up the locals since 1951. See why we love the North Shore? Go have two for me. Thank you. 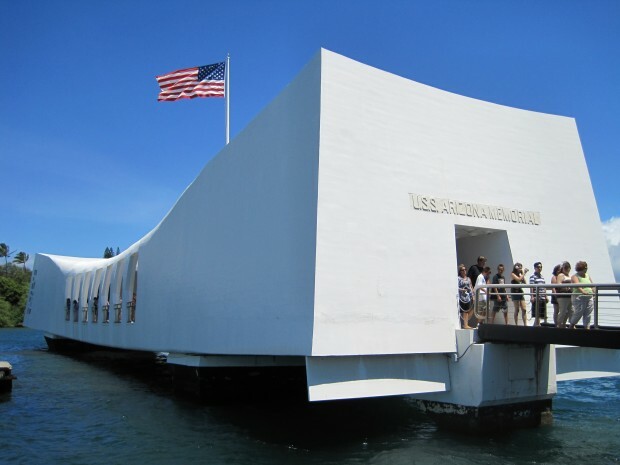 If you’ve never been to Pearl Harbor, making a visit to see the USS Arizona Memorial is a sobering, and sacred experience. The memorial stands above the sunken vessel and her crew of 1,177 were among the first fallen on December 7, 1941. Standing inside that memorial, the sacrificed lives of those young sailors made me silently say prayers of gratitude in remembrance of those young men. It’s a great reminder that we truly do stand on the shoulders of those that came before. Tickets are free to the public. I do recommend visiting the national park website to reserve tickets ahead of time. There is a ticket convenience fee of $1.50 per ticket, but it’s worth it. The park provides 2000 tickets per day on a first come, first served basis. If you’re planning to maximize your time, waiting in line is an utter waste. When I’m on vacation I want to maximize my time doing things I want. Sitting in a line doing nothing, makes me lose my mind. To experience the true Hawaiian spirit, you have to visit the North Shore. One of our favorite North Shore town’s is Haleiwa. Haleiwa (hah-lay-EE-wah) community’s roots reach back to he 1900s during the sugar plantation industry. It’s a true surfer paradise. In fact, the North Shore is widely known as the surfing capital of the world. If you enjoy surfing, watching surfing, ogling surfers, jet skiing, paddle boarding, stunning beaches, hiking, any kind of outdoor adventure, you’ll fall in love with the North Shore. I like to say this is the Disneyland of Polynesia. The Polynesian Cultural Center (PCC) is a unique park, that has evolved, and only gotten better since it’s opening in 1963. It’s the best value in one place, and excellent for families. 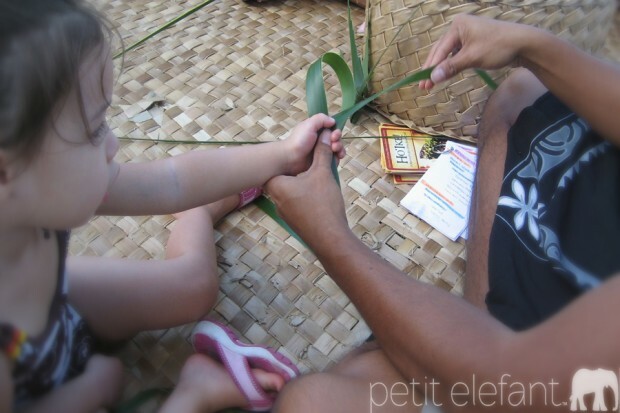 In one day you will visit and meet natives from Aotearoa, Fiji, Hawaii, Marquesas, Samoa, Tahiti and Tonga. Throughout the day there are presentations of song, dance, humor, a boat parade with traditional dances, and traditional crafts, tools, instruments, games, etc that visitors of all ages can enjoy. Get a Maori Tattoo, learn how to crack open a coconut in Samoa, go bowling Hawaiian style, and so much more. We always purchase our souvenirs from the PCC because the beautiful people that work at the PCC are also college students from the islands. They work at the PCC to support their education, and share the wealth of their culture. At the PCC there are various dinner packages, and luaus you can select. There’s a cinema showing you a gorgeous Hawaiian Journey, and the evening show, Hā: Breath of Life is basically a high-production Broadway style show where the talented, magical dancers take over the stage, and take you through all the islands as they weave a soul-stirring story. This show is one of the best productions you will see in the islands. Hands down our favorite. When you decide to go, be sure to reserve tickets online. They often offer discounts when you purchase ahead of time. It pays, or saves to be a planner. Hanauma Bay is something to be experienced. Go early so that you can find parking and get a great spot on the beach. Visitors love snorkeling and soaking in the waters here because the fish literally come right up to the shore area. You are guaranteed to be surrounded by fish when you visit. The shallow areas are great for the kids, as they’re able to touch the bottom, and have fish swirling around their legs. If you want to swim out further, you’ll still be able to see some gorgeous sea life. 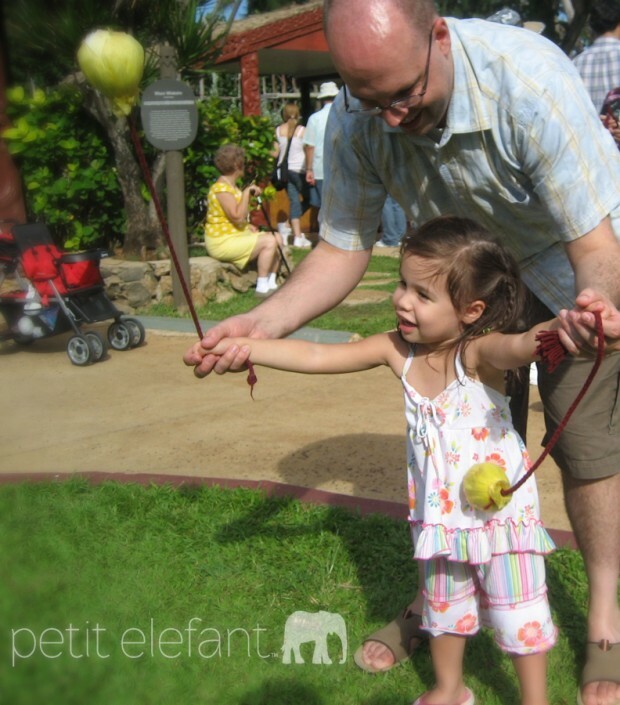 There is an entry fee for the park, $7.50 per person, children 12 and under are free. There’s a $1 parking fee. If you need snorkel gear, they rent them for $20. If you have boogie boards, or snorkel gear you want to bring to Oahu with you, go for it. However, with how airlines charge for every little thing these days, if you just stop at the local Costco (great local foods!) or Walmart (so much nicer than on the mainland!) near the airport, you’ll be able to find all your water gear needs. While you’re on the island, stop at the fruit stands as you drive through the lush landscape. You’ll find the most delicious pineapples, lychee, rambutan, jack fruit, eggplant, Kahuku corn and other fruits and veggies from the island. Bring cash. As a tourist in Hawaii, remember you are a guest. Guests clean up after themselves. Guests learn to chill, have patience and go with the flow. Often you’ll find yourself on a one lane road, behind a very slow, very laid back driver, just remember you’re on Hawaiian time. Just chill and enjoy the views. Be kind, take time to breathe, say yes to eating, and hang loose dude. Great post, lots of good info…thanks. I grew up in Hawaii and I was SOO bummed to hear that they don’t let you feed the fish at Hanauma Bay anymore! That does make me sad. Such a treat for the kids. We were also bummed Toilet Bowl was closed. This is such great info Stephanie! I love it. Thank you Allison, that means a lot! Cheers!